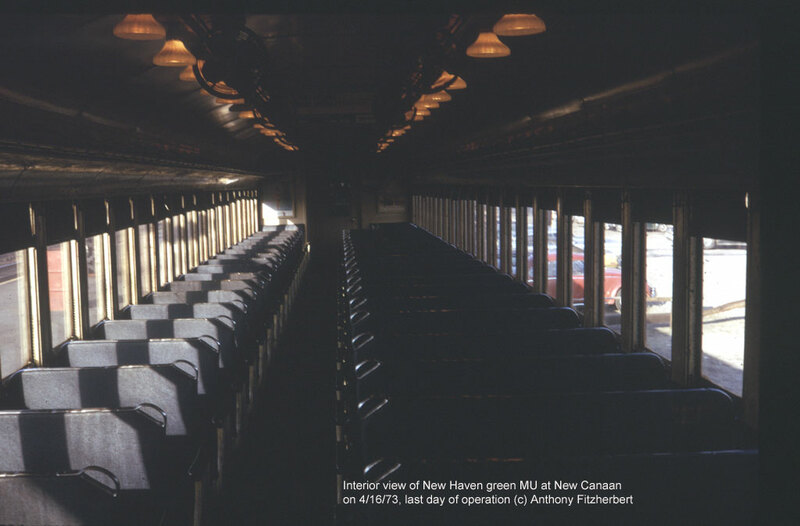 The minimal maintenance provided during the Penn Central era accelerated the need for new cars for the long-suffering New Haven Line commuter. In 1973, relief finally came with the delivery of the M2s. A young man in his 20s took his camera to Stamford to capture the end of one era and the birth of another. 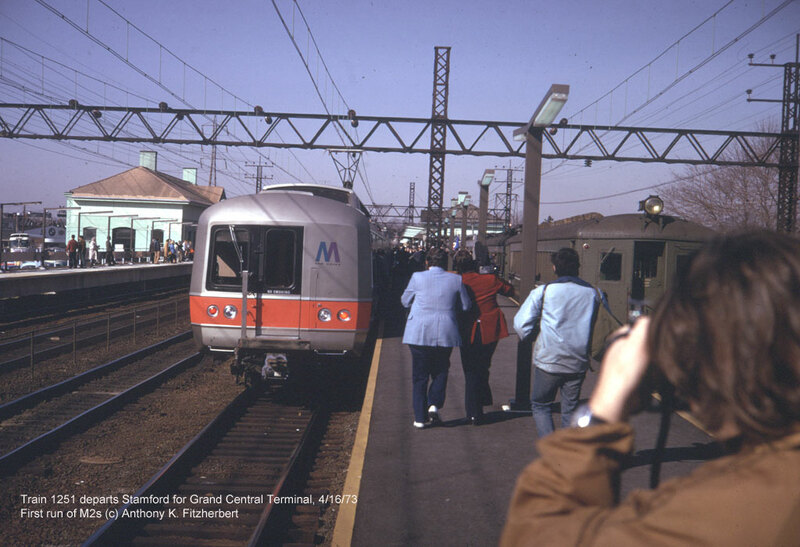 For many years, Mr. Fitzherbert provided training for Metro-North employees with a flamboyance that can could not be duplicated. He retired from the railroad in 2006. More than 30 years later, the M2s continue to provide a reliable and comfortable ride. You can send your comments to Tony. 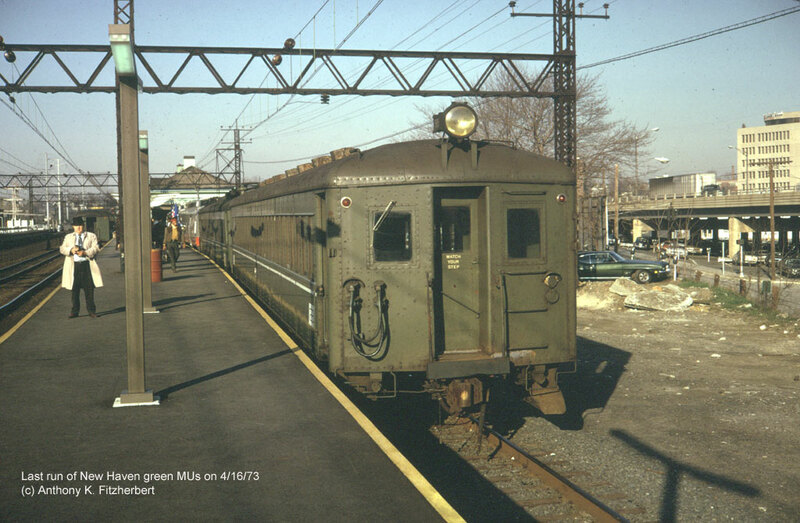 Last run of the NH green MUs leaving Stamford going west. 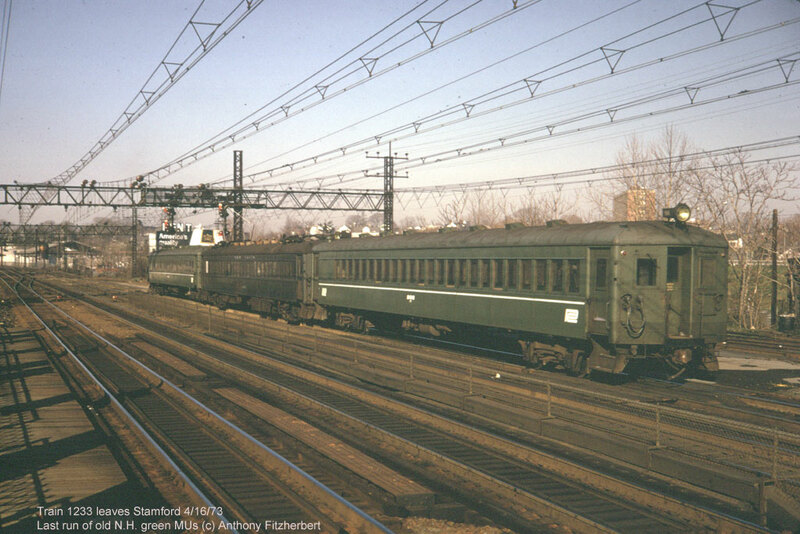 Old New Haven MUs sit on track 5 in Stamford after coming down from New Canaan. A pair of M2s sits behind waiting for the old boys to retire. With incadescent lights and fans for cooling, the green MUs left no doubt they came from another era.